3M™ Full Print Packing List Envelope F1-PL is a side load, polyethylene envelope full face, top printed with packing list (red background with black text) with a strong rubber resin adhesive. The full job of a package is containment, protection, and communication. 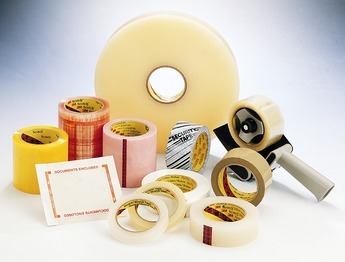 3M helps put your packaging to work with a variety of box sealing tapes and dispensing equipment, as well as packaging solutions for bundling, reinforcing, labeling, and more. 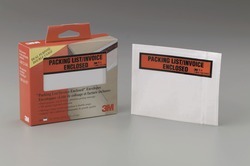 3M™ Full Print Packing List Envelope F1-PL offers an easy to remove liner, exposing a high tack adhesive that holds packing slips, invoices, cards and other shipping documents securely to packages. Envelope easily loads documents from back.